Drawn Over Mandrel (DOM) tubing is a cold drawn, electric resistance welded tube that has all of the internal and external flash removed. 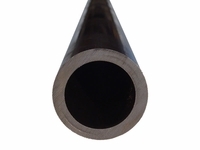 DOM tubing possesses excellent outer and inner diameter concentricity with a smooth uniform finish. Though typically more expensive than HREW tubing, it is much more of a precision product.